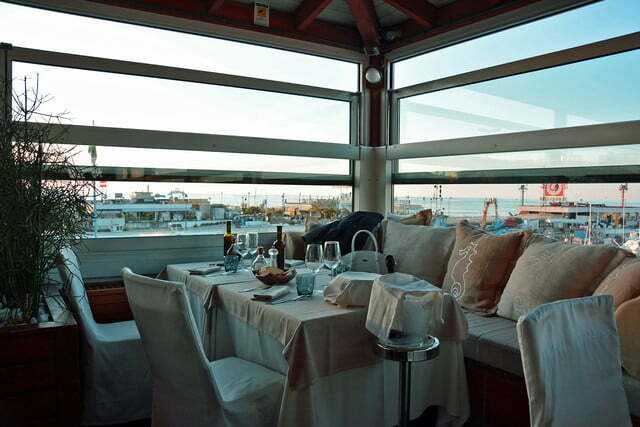 In the tourism industry, Italy is primarily known for fast cars, delicious cuisine, and breath-taking scenery. 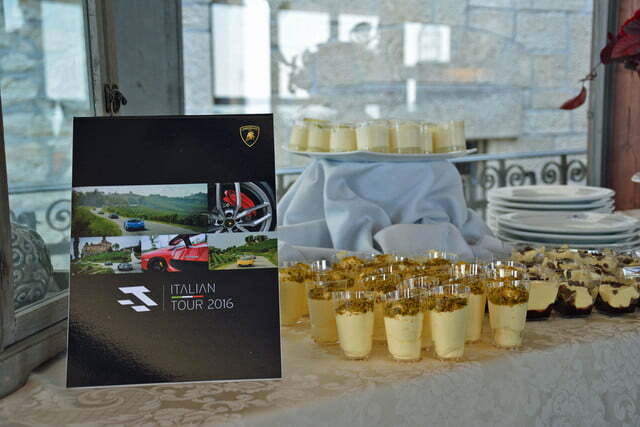 A handful of Lamborghini owners recently immersed themselves in all three during the first wave of the 2016 Lamborghini Italian Tour. 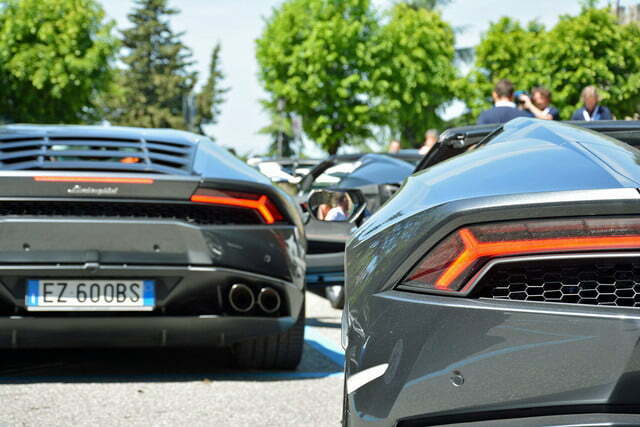 Organized by Lamborghini, the event is open exclusively to current Lamborghini owners. It’s held annually, but this year the storied car-maker decided to host three waves instead of two in order to accommodate ever-growing demand. 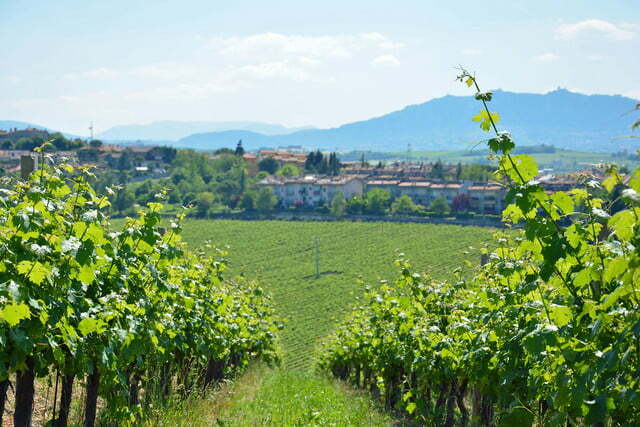 It’s easy to see why it’s becoming increasingly popular: The Italian Tour is a three-day road rally with a focus on experiencing the best cars, food, and scenery that Italy has to offer. 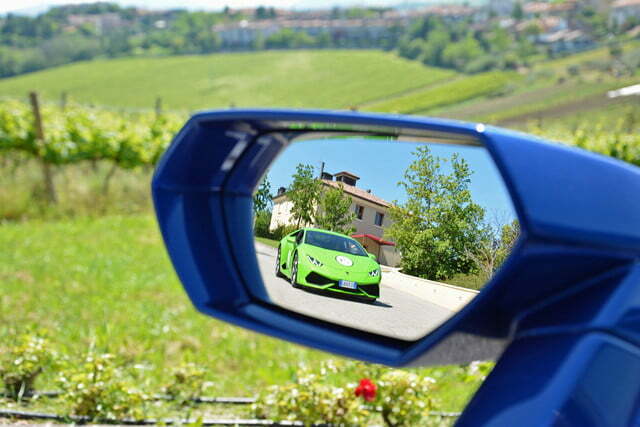 As far as weekend getaways go, it’s hard to beat the Lamborghini Italian Tour. 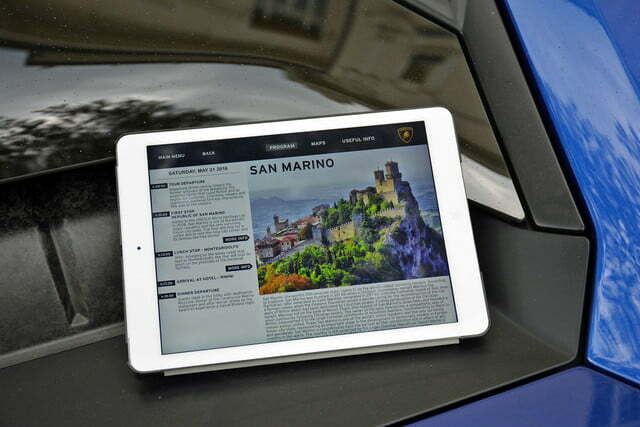 Owners drive – or, in certain cases, ship – their car from their home to Italy prior to the event. 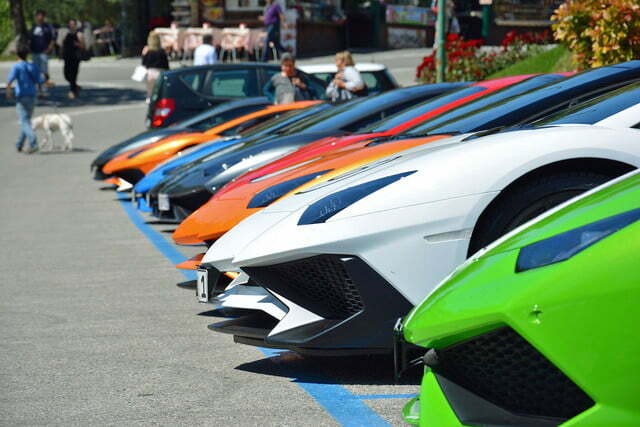 About 20 cars registered in England, Germany, France, and Italy participated in the first wave. There were no less than five Aventador Superveloces, including three Roadsters; even Lamborghini’s own personnel was flabbergasted after seeing (and hearing) five SVs rumbling down the road at once. The roster also included the 580-2, the 610-4, and the 610-4 Spyder variants of the Huracán. While the Italian Tour is a rally-style event, the point isn’t to drive flat-out Fangio-style and be the first to reach every checkpoint. It takes place on public roads, ones that sometimes zigzag through tiny villages, so the speed limit must be observed. The cars consequently travel in a fast-paced convoy, supported by several backup vehicles and a pair of intrepid bikers who take turns making sure that the road ahead is clear, and that no one gets left behind. 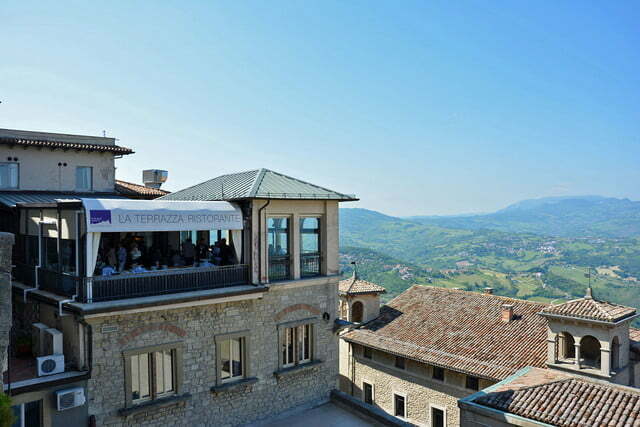 On the first day, the tour took us inland to San Marino, one of the smallest and oldest autonomous states in the world. The convoy visited the nation’s capital, which is perched up on a hill, and meandered through the surrounding countryside before crossing back into Italy and heading for the rolling hills of the Marche region to the south. The second day of the tour took the convoy down the Adriatic coast to the San Bartolo Mountain, which is part of a big regional park. While the city of San Marino dazzles with centuries-old architecture on every street corner, the park that the San Bartolo Mountain is part of is a nature lover’s paradise. 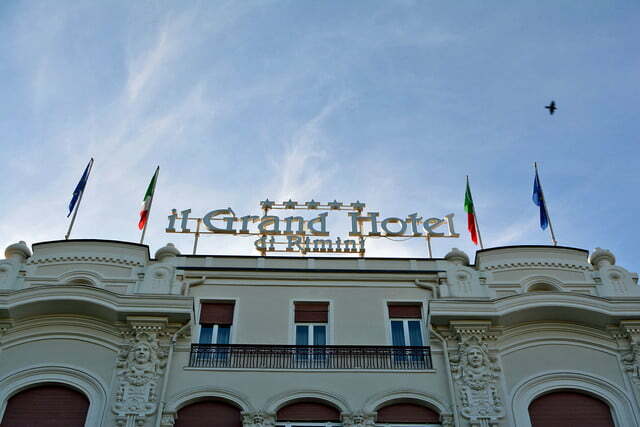 After leaving the park, the convoy drove inland to visit historic towns in the Italian countryside, and returned to Rimini. 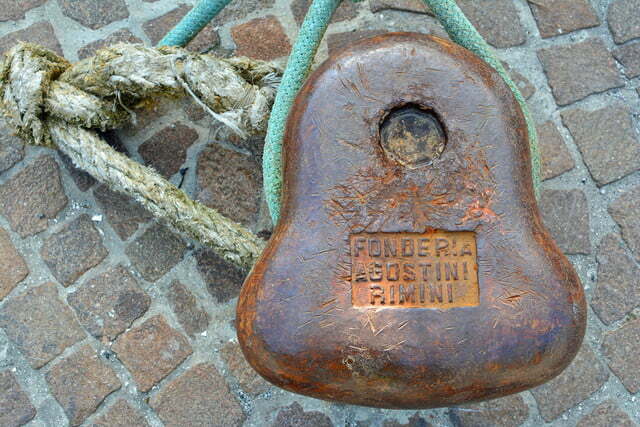 The third and final day took the convoy north to Faenza, a medium-sized town known globally for its pottery. Participants also visited Ravenna, a city that’s home to no less than eight UNESCO World Heritage sites. Regional food and the quintessential espresso awaited us at every stop. Emilia Romagna has, arguably, the best cuisine in Italy, and we had the chance to try a wide variety of dishes in the region’s most notable restaurants. 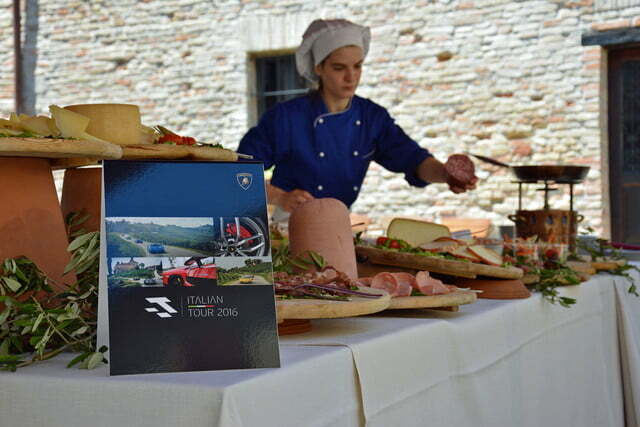 There was something to suit everyone’s taste buds, ranging from fresh seafood to pasta to cured salami to desserts. Meals were accompanied by local beverages, including juices, wines, and beers. One of the most impressive parts of participating in the Italian Tour was watching the reaction of by-standers and other drivers. 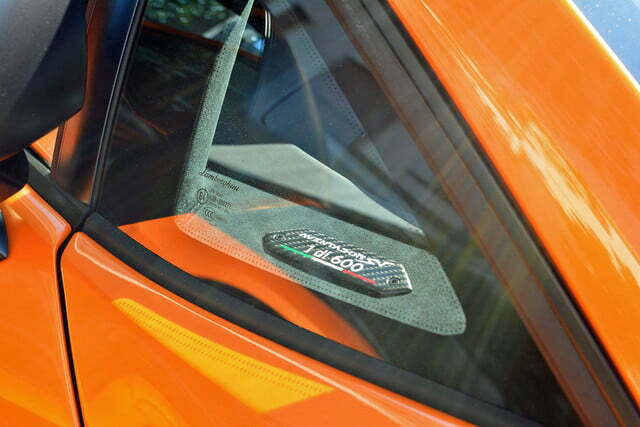 It’s clear that the Lamborghini brand is an immense source of national pride for Italians. Motorists regularly pulled over to film the convoy as it drove by, and we drew a huge crowd in every village, town, and city that we stopped in. Cars are the central part of the Italian Tour. 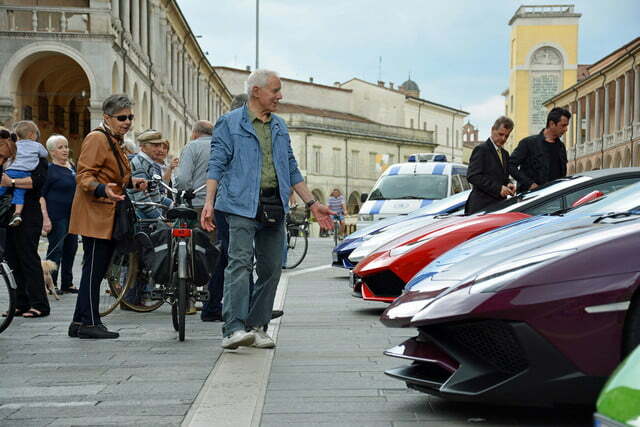 Notably, it’s an opportunity for Lamborghini owners to become more familiar with their car, and how it handles in everyday situations – whether it’s an open autostrada or a backroad dotted with Vespas. Even Lamborghini’s own personnel was flabbergasted after seeing (and hearing) five Aventador Superveloces rumbling down the road at once. I drove a Huracán LP 610-4, and I came away thoroughly impressed at how well it performed on every type of road. 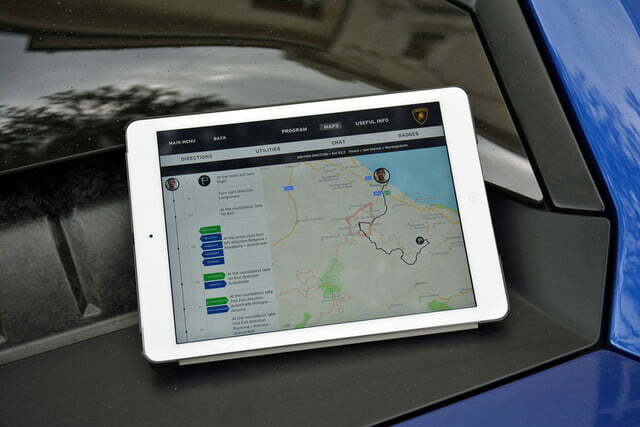 Select Strada mode, and the Huracán is comfortable in city traffic, even during rush hour in Rimini. It’s relatively quiet, and it doesn’t require any more effort to drive than a standard luxury car. Simply turn the A/C on, crank the radio up, sit back, and relax. A lift system on the front axle brings extra peace of mind in dense urban areas, where speed bumps are a dime a dozen. 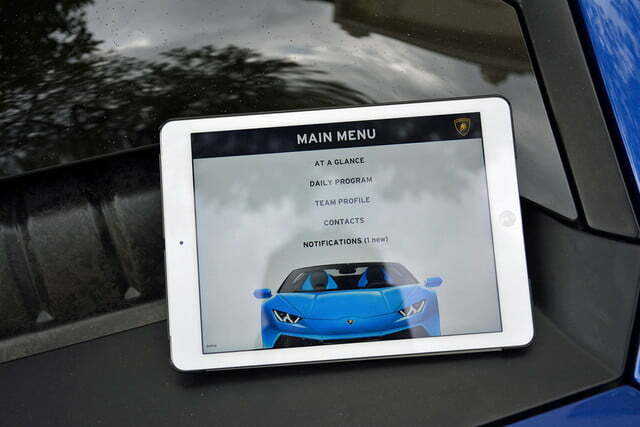 However, flick the steering wheel-mounted driving mode selector to Sport and the Huracán turns into a completely different beast. The exhaust becomes louder, the steering more dynamic, and the throttle more responsive. It’s sharp, jaw-droppingly quick, and it’s a blast to toss around on twisty roads. It’s a lot nimbler than its dimensions suggest, while all-wheel drive ensures that the wheels remain glued to the pavement as they receive the 610 horses churned out by the naturally-aspirated 5.2-liter V10 engine. All told, it’s a surprisingly good all-arounder. 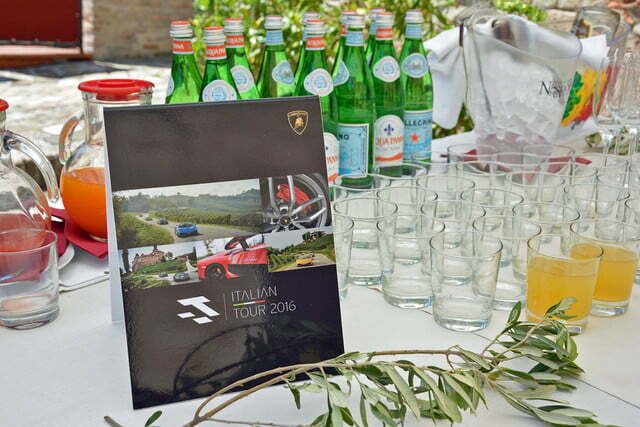 The Lamborghini Italian Tour allows owners to experience Italy the way Ferruccio Lamborghini, the company’s founder, would have wanted it. 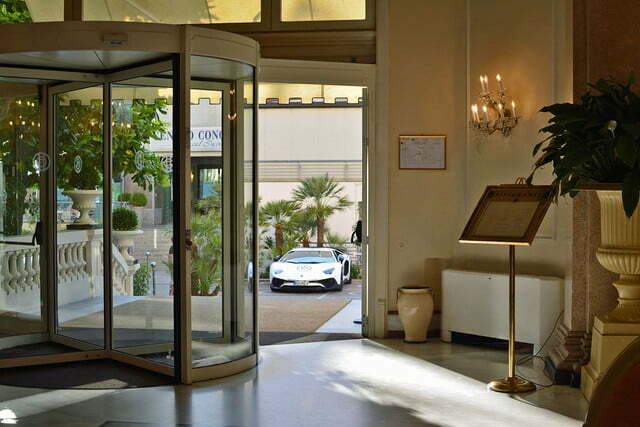 Food, cars, and sights, all bundled into a single package that’s meticulously prepared by Lamborghini. As far as weekend getaways go, it’s hard to beat.